The minimum wage, the lowest hourly amount that an employee may be paid for their labor, is determined by both state and Federal labor laws in the United States. Under the Federal Fair Labor Standards Act, states and localities are permitted to set their own minimum wage rates, which will take precedence over the Federal minimum wage rate if they are higher. In states that do not set a minimum wage rate, or have an antiquated minimum wage rate that is less than the rate set by the Federal government, the Federal minimum wage rate will take precedence and apply to all employees within that state. The table below lists the current prevailing 2019 minimum wage rates for every state in the United States. 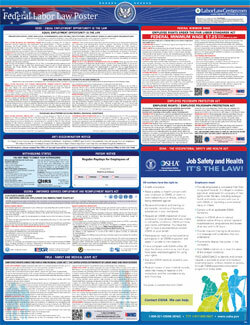 Click any state for details about the minimum wage, exemptions, and other state labor laws. You can find a list of highest and lowest minimum wage rates here. Disclaimer: Minimum-Wage.org is a private resource website. While we do our best to keep this list of state minimum wage rate laws up to date and complete, we cannot be held liable for errors. Is any data on this page missing or out-of-date? Please let us know so we can fix it!